I have at least 5 helmets sitting in my garage, 3 of which I use, and two of which are for my sons when they come back home or other visitors. Two of those I use are nice light Giro Atmos models. The new one has front and rear lights attached for randonneuring, while the older one is strictly for road cycling. Both are still in usable condition. The third helmet, an unknown model by Bell, is for in city riding and commuting. It often is clipped to my bars in an open parking area, exposed to the elements. Paint has faded, and the inner padding is almost gone. But it is never suffered any kind of major impact, and so retains its functionality as protection for my head. Besides, the faded color gives it a kind of "distressed" look -- one of many things that says "I did not just take up riding yesterday!" So how to extend its life? 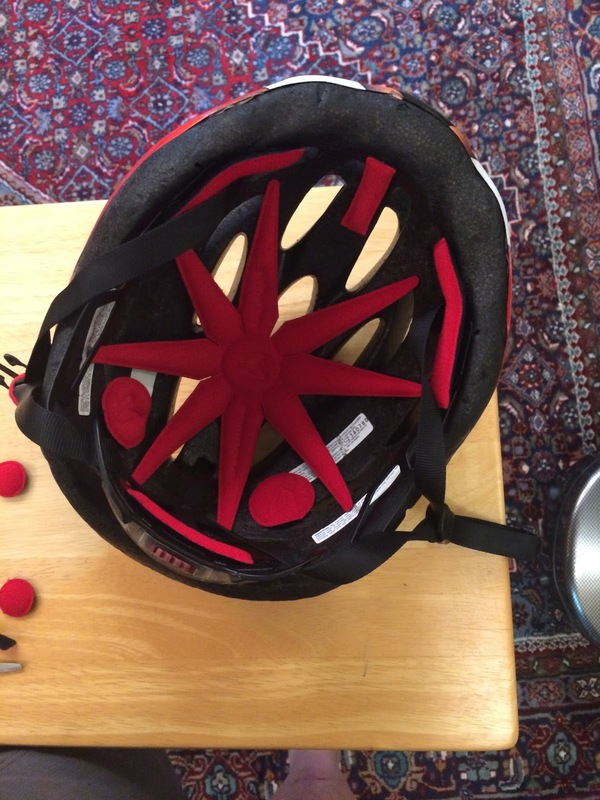 With Octoplus from Effetto Mariposa, a "Universal Bicycle Helmet Pad Kit", to quote the packaging description. Made in Italy. The company is in Lugano, on the Swiss/Italian border. 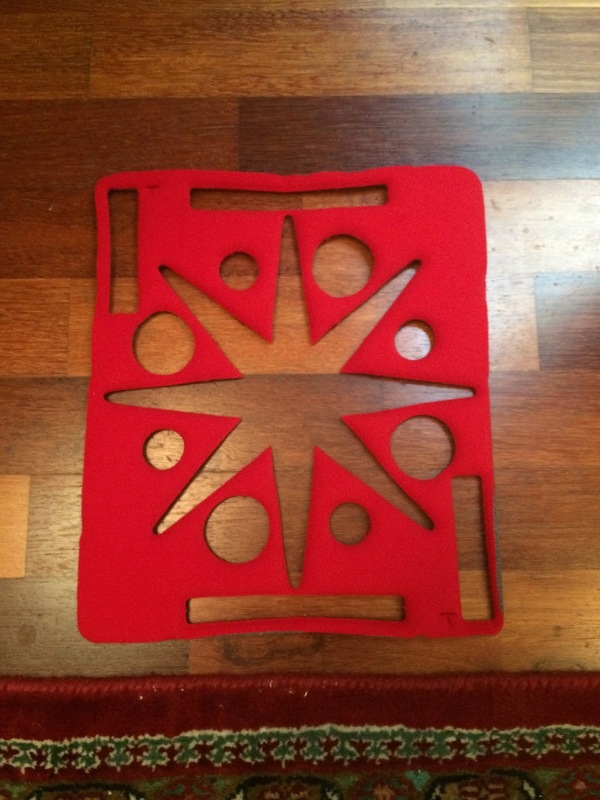 Effetto Mariposa has some really cool niche products, including this one. I use their Caffe Latex sealant for my tubeless tires, and the road version of their "Shelter" product to protect the most vulnerable areas of a carbon frame. David Marx of RGT knows the head of the company and recommended Octoplus to me. 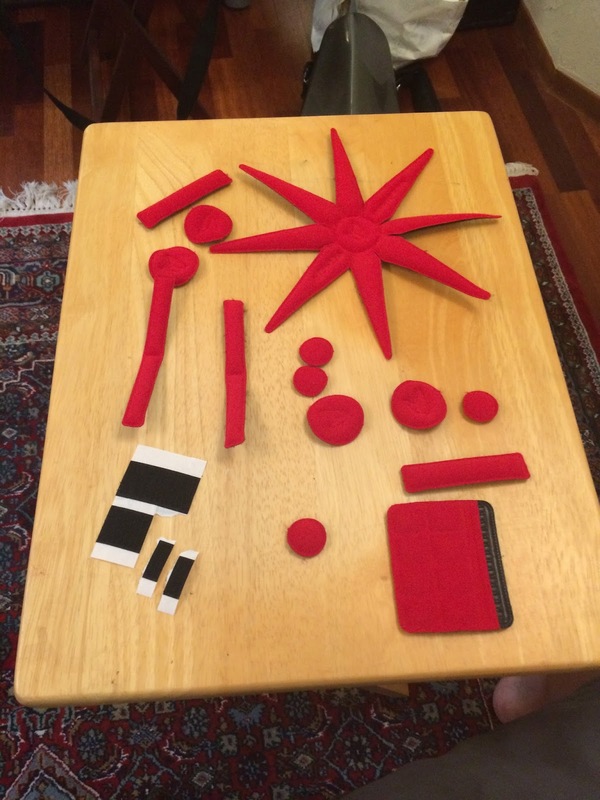 Here is the rest of the material after the usable parts are removed. 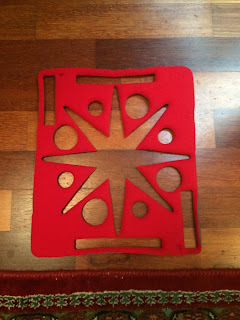 This might be useful as ... a piece of art, in a kind of SW native American pattern for a wall hanging? It took about 10 minutes to remove the pieces and attach them inside my helmet. The result? No more velcro rubbing directly against my head. No more scuzzy, worn padding. Feels like a new helmet! A really nice way to extend life of a helmet. A note -- while I used all 8 arms and kept them attached to the "body" of the Octopus, it is possible to cut, separate, fold, bend and generally redo with the padding wherever it works best. Given the velcro attachments probably already in your help, plus the 10 small additional strips you get with the kit, it should not be hard to get a fit that is just right. In fact, I may end up trimming the end of a few arms. We shall see. A nice product ... Maybe Giro, Bell, OGK, GVR, Kask, Lazer, Catlike, Spiuk, MET, Carrera and other helmet brands will not be so happy with it, but given the prices they charge, this kind of approach makes a lot of sense. UPDATE - September 2015. A second helmet refresh project completed with Octoplus. 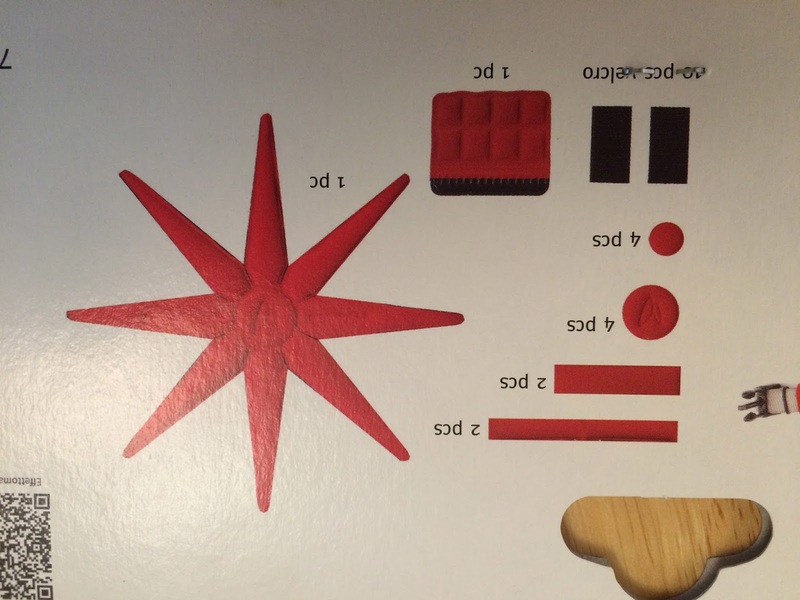 The helmet has a completely different pre-existing set of padding, and requires a different layout. The Octoplus works fine. And this time I saved plenty of material for use on another helmet! As they note, if the helmet is from the 1970s, you should replace it. And they also note that Italian manufacturer MET at one point did tests and suggested an 8-year "best before" life for their helmets, absent a crash (in case a crash impact, the helmet should be replaced immediately). Of course, it depends on usage, and on the characteristics of the original product. 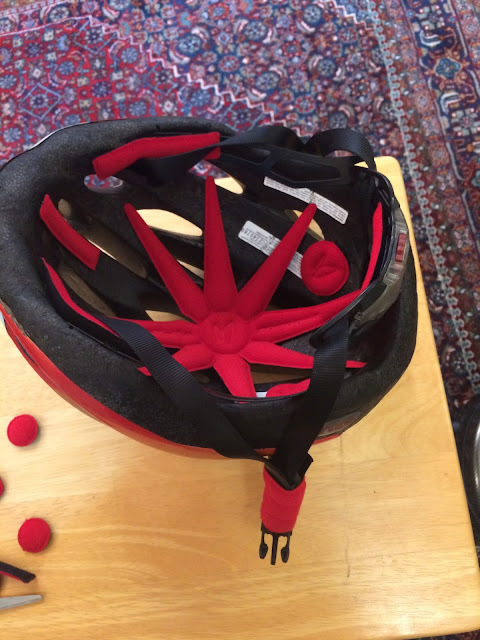 As for my commuting helmet ... it is approaching 8 years, but it has much thicker styrofoam than my "road" helmets, and I think with the Octoplus I can probably use it another 2-3 years!